Dr. Ballen takes the time to listen and fully understand your situation. She is aware that everyone's situation is differentand tailors each patients treatment plan accordingly. Her practice offers many resources to help with your treatment. She is easy to talk to and her staff makes scheduling appointments very easy. Dr. Ballen takes the time to listen and fully understand your situation. She is aware that everyone's situation is different and tailors each patients treatment plan accordingly.Her practice offers many resources to help with your treatment. She is easy to talk to and her staff makes scheduling appointments very easy. Dr. Ballen is terrific. She truly listens for understanding and really cares about her patients. I highly recommend her! 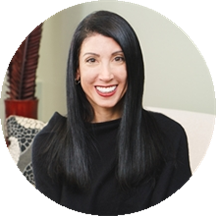 Beth Ballen, MD, is an integrative psychiatrist combining traditional mental health treatment with holistic supportive therapies including IV therapy and nutritional supplementation. While she prescribes traditional psychiatric medication when needed, she views her prescription pad as only one of many resources in her toolkit to help clients feel their best and flourish. Dr. Ballen is licensed to prescribe Suboxone and Sublocade for Opioid Addiction, as well as Naltrexone and Vivitrol for Opioid and Alcohol Addiction. More about Dr. Ballen's practice: At Ballen Medical & Wellness, our integrative approach combines traditional therapy and medical treatment with holistic alternatives. We specialize in treating a range of disorders including anxiety, addiction, depression, bipolar, ADHD, OCD, and PTSD. Our staff, led by psychiatrist Dr. Beth Ballen, MD, includes a nurse practitioner, two psychotherapists and an art therapist as well as massage therapy, craniosacral therapy, hypnotherapy/NLP and meditation. In addition to prescribing conventional medications and a wide array of natural, pharmaceutical-grade vitamins and supplements, our facility also features NAD+ and intravenous amino acid therapy to treat addiction, IV ketamine infusions (ketamine for depression), and vitamin and mineral infusions to promote overall health (including vitamin C, Myer’s cocktail, glutathione, anti-aging NAD+). We also feature stem cells and peptides. ***Ballen Medical & Wellness does not contract with any insurance agencies at this time. We are able to supply superbills for you to submit for reimbursements, however, and accept Health Savings Accounts (Visa only). New patients are required to prepay within 48 hours of booking their appointment. Our staff will reach out once you've booked. So, I had written a great review about Dr. Ballen that conformed to the ZocDoc guidelines (no profanity, no personal information, no specific treatment information, no pricing specifics, no promotional content) but ZocDoc kicked it backto me to rewrite for some reason (and they didn't give a reason). Dr. Ballen is great--her entire staff is wonderful. Sorry I can't elaborate...the ZocDoc censors are watching. Overall, I would recommend Dr. Ballen. She is compassionate, knowledgeable and amazing. Definitely the best experience I have ever had with a psychiatrist. Extremely helpful and knowledgeable. Proposed treatment that has tremendously helped and is helpful in managing and fine tuning things to get the most helpful and successful end result. Also has amazing availability compared to anywhereelse I contacted, have always been able to get in when I needed to be seen. we saw Dr Ballen today for the first time. She was very professional but sympathetic at the same time, a good listener. She navigated the difficulties during the appointment very well with out being Judgemental. (written by patient's mother who also met with Dr. Ballen.) Dr. Ballen is approachable, kind, truthful, professional and caring. I had a good experience with Dr. Ballen and would recommend her. She was professional, friendly, and attentive. I think she is an excellent doctor. Doctor Ballen is compassionate and thorough. We thought that Dr. Ballen was very caring and concerned. She took her time and explained things thoroughly. We agreed with her philosophy in not wanting to over medicate and to slowly wean off. Really enjoyed speaking to DiShaun! She madeus feel welcomed and was very knowledgeable. Would highly recommend Dr. Ballen and her office! Very personal and caring. I love this Psychiatrist! It was helpful as usual, practical and to the point. I want to start this by saying that I think Dr. Ballen seems like a very knowledgeable and kind-hearted psychiatrist. Had it not been for the rest of my experience in the office I would certainly return to see her. Howeverthe experiences I had in the hour I spent waiting for Dr. Ballen to arrive (she was running late) completely deterred me from ever returning to this practice. When I arrived for my appointment I was greeted by a man and a woman who both seemed very frantic. They were certainly very welcoming, but the atmosphere was so chaotic that I was immediately uneasy. The women introduced herself with just her first name (no title or credentials), while I only picked up the man's name from hearing the woman use it in conversation. Dr. Ballen was running late, and as such the man said we were going to get started with some paperwork to expedite the appointment when she arrived. He had me sit in his office- with the door wide open- for what I assumed would be some routine medical history questions (allergies, etc). Keep in mind I still have no idea who this man is or what his credentials are. The next thing I know he begins asking very specific and detailed questions about my mental illness... questions that I would expect to be asked only by Dr. Ballen herself. All the while the woman keeps wandering in and out of the office's open door- able to overhear everything I was saying. Again- I have NO idea if these two are doctors, receptionists, assistants... it was very disconcerting. After giving way more history of my mental illness to the man than I had expected to, he launched into a lengthy diatribe about his thoughts on my illness and treatment. He basically stated that in time I would not need medication because I would be able to control my brain myself. He made me feel as though my mental illness was my own fault- as if I was just so out of control of my own brain that I was causing this myself. I have a well diagnosed anxiety disorder, and this is the first time in over a decade of treatment that I have ever had someone in a medical facility make me feel as though my disorder is my fault. While I feel as though everyone in this office meant well, I left feeling very discouraged and uncomfortable. Dr. Ballen seems like an excellent psychiatrist, but I hope in the future they get some of these things ironed out. On a side note- the relaxation music playing on the cd player kept skipping. Quite a fitting metaphor for my entire visit. I recently moved here from out of state and feel grateful to have found such a caring, professional doctor. I highly recommend Dr. Ballen. She really cares about her her patients needs and concerns. She was very knowledgable and personable. I really appreciate her help. Very informative. Dr. Ballen is very patient and takes time to talk to her patients. Does not act rushed . Is very professional and knowledgeable. Dr. Ballen is the best. She spent a great deal of time with me and offered multiple solutions to improve the issues I am working through. Not only was dr mallen and her P.A. so knowledgeable and helpful but their concern and follow up with me was way beyond the norm.. I have had many psychiatrists in the past years and her practice is by far the best I have seen. Really great Doc. Looking forward to future visits.